A species that I occasionally see in migration in my part of South Dakota, and one that does breed in parts of the state. 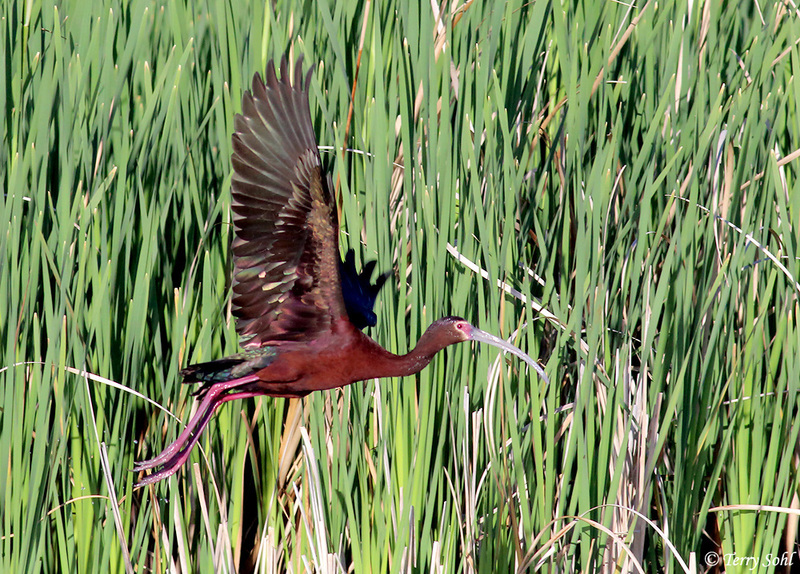 However, this photo of a White-faced Ibis taking flight is from Alamosa Naitonal Wildlife Refuge in Colorado, a wonderful place for birding. I love the wing position, lighting, and background on this one.